LaFollette School sits in one of the most troubled neighborhoods in Wisconsin. It’s also where some UWM police officers grew up. So when they saw a chance to help, they eagerly joined in. 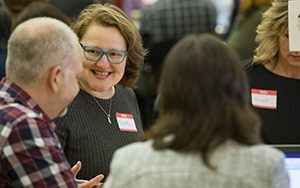 For the university’s second year as “super host” of the Greater Milwaukee Foundation’s “On the Table” communitywide conversation, no topic was off the table. For some UWM students, the U.S. Senate debate held on campus Oct. 8 was a golden opportunity. 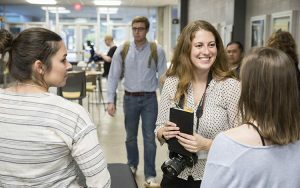 It was a chance for journalism students to cover a nationally significant event without leaving campus. The Compost Project, which involved UWM researchers, is exploring composting in Wisconsin’s biggest city. 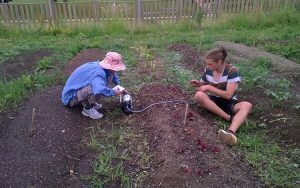 Funded by a USDA grant, the project seeks to answer the question, can composting be a viable industry in Milwaukee? 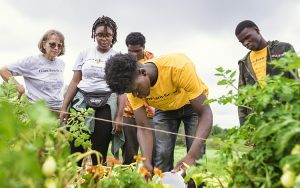 Learn-Earn-Grow MKE teaches MPS students how to farm, but its other lessons are just as valuable. 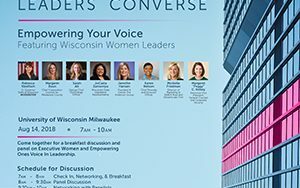 The program, which also includes UWM and MATC, teaches about work and finances, college life and leadership, providing tools for the students’ success. 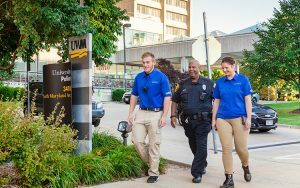 The University of Wisconsin-Milwaukee Police Department and partners will be sharing ways to stay safe and healthy on and off campus during the university’s annual Campus Safety Week Sept. 24-27. 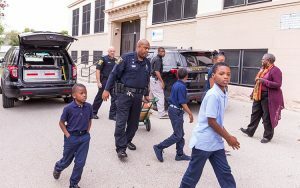 The UWM African American Faculty and Staff Council is taking donations of school supplies through Sept. 21 for LaFollette School on N. 9th street. The MPS school is about two miles west of UWM. The children built their own websites with the help of PantherHacks, a UWM student organization focused on innovation and the development of technical and professional skills. 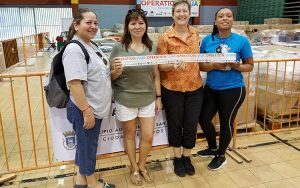 When Dana Kaleta saw the devastation that Hurricane Maria wrought on Puerto Rico, she couldn’t stand by. So she began organizing relief trips, with two already done and a third planned for fall.